Retiring as the first Executive Commissioner of the Mississippi Department of Child Protection Services (MDCPS), former Mississippi Supreme Court Justice David Anthony Chandler brings extensive experience as Senior Counsel to Taggart, Rimes & Graham’s broad suite of legal service offerings. When appointed by Governor Phil Bryant to the position with MDCPS, Justice Chandler stepped down as an Associate Justice with the Mississippi Supreme Court to run the free-standing, cabinet-level agency created to reform Mississippi’s foster care system. In his Executive Commissioner capacity, Justice Chandler led the new agency to successfully complete, and in a number of instances exceed, the required benchmarks in the Olivia Y. v. Bryant foster care case then-pending in federal court. The recipient of the 2017 Babineaux Award given by the National Council for Adoption, Justice Chandler was honored for his leadership and selfless commitment to Mississippi’s ongoing transformation in child welfare. Justice Chandler was elected to the Mississippi Court of Appeals in November 2000, and re-elected, without opposition, in 2006. After serving as a judge on the Court of Appeals for eight years, Justice Chandler was elected to the Mississippi Supreme Court. He commenced his duties as a Supreme Court justice on January 1, 2009. A native of Kosciusko, Mississippi, Justice Chandler attended Mississippi State University, earning bachelor’s, master’s, and doctoral degrees in education. The first twenty years of his professional career were spent in the public education sector, serving as a teacher, counselor, school psychometrist and administrator with the Choctaw County public schools. Continuing his pursuit of service to the people of Mississippi, Justice Chandler returned to his alma mater to pursue a career at the university level, serving as a research and curriculum specialist at MSU. In this capacity, he directed the development of curriculum material for secondary and post-secondary work force training programs, much of which is still in use today. His work was designed to provide a more skilled work force to attract business and industry to Mississippi. Justice Chandler earned his Juris Doctorate from the University of Mississippi and his Master of Laws in the Judicial Process from the University of Virginia School of Law. He practiced law in Tupelo, with a firm which maintained the largest number of cases of any firm on the federal docket in North Mississippi. He also served as the attorney for the Choctaw County Board of Supervisors handling matters relating to policy, procurement, budget, and county development, among other issues. His service included time spent as municipal judge from 1999 until beginning work on the appellate court. Justice Chandler has served on numerous committees including Chairman of the Mississippi Court of Appeals Rules Committee from 2001 through 2008 and Chairman of the Mississippi Continuing Judicial Education Committee from 2008 until 2015. 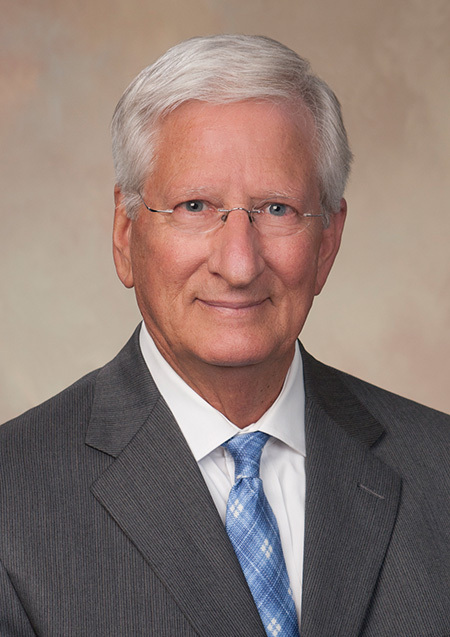 From 2009 until 2015, Justice Chandler served as a member of the Supreme Court Committee on Administrative and Related Matters, and Co-Chairperson of the Professionalism Committee of the Mississippi Bar. He is a member of the Charles Clark Inns of Court. Justice Chandler has continued his role as an educator by serving as adjunct professor at Mississippi College School of Law, where he teaches judicial administration. He was named the 2010 Alumnus of the Year by the Mississippi State University College of Education. Throughout his career, Justice Chandler has authored professional articles in the field of education as well as in the legal field. During his tenure with the Appellate and Supreme Courts of Mississippi, Justice Chandler authored well over 600 opinions including those involving children and families, healthcare, labor and employment, disciplinary matters involving attorneys/judges, and a variety of other matters. An accomplished public speaker, Justice Chandler, as Commissioner of MDCPS, presented regularly at the state legislature, judicial conferences, state agency meetings, universities, foster parent organizations, private agency meetings, as well as church and other community groups, regarding the status of Mississippi’s foster care system and introduction of new initiatives concerning changes to its system. Justice Chandler has also taught numerous Continuous Legal Education classes to Mississippi-licensed attorneys regarding family law practice, foster care, and Guardian ad Litem certification. Justice Chandler is admitted to practice in all Mississippi state courts, the United States District Courts for the Northern and Southern Districts of Mississippi, and the United States Court of Appeals for the Fifth Circuit. He is also a member of the Hinds County Bar, the Mississippi Bar, and the American Bar Association. He enjoys the AV Preeminent rating from Martindale-Hubbell, and is a certified mediator listed by the Mississippi Bar Mediation Directory.